A hand drawn pen and ink sketch of an adorable Sparrow in a choice of 12 background colours. 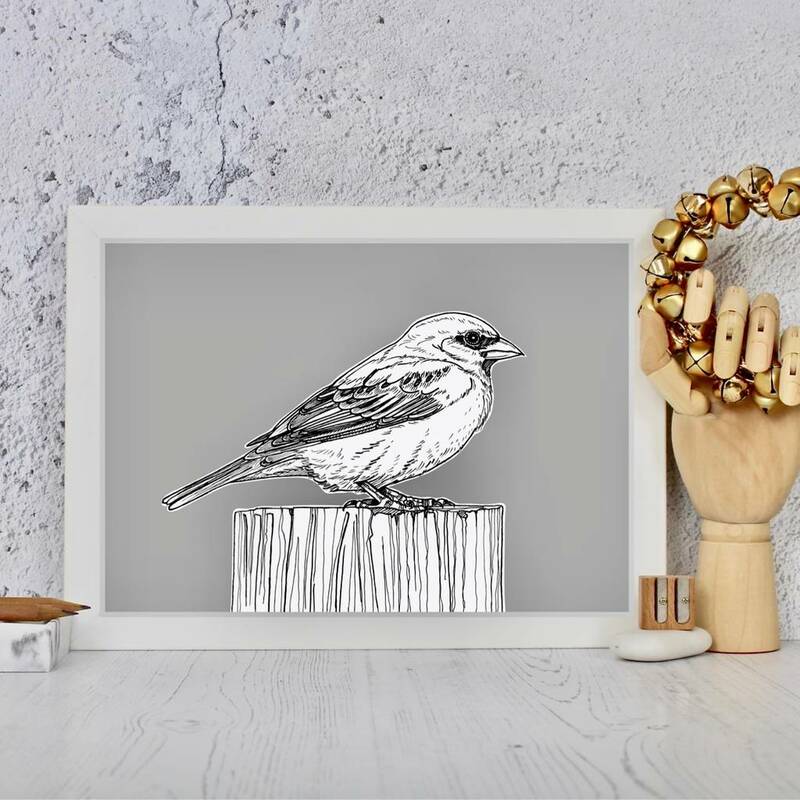 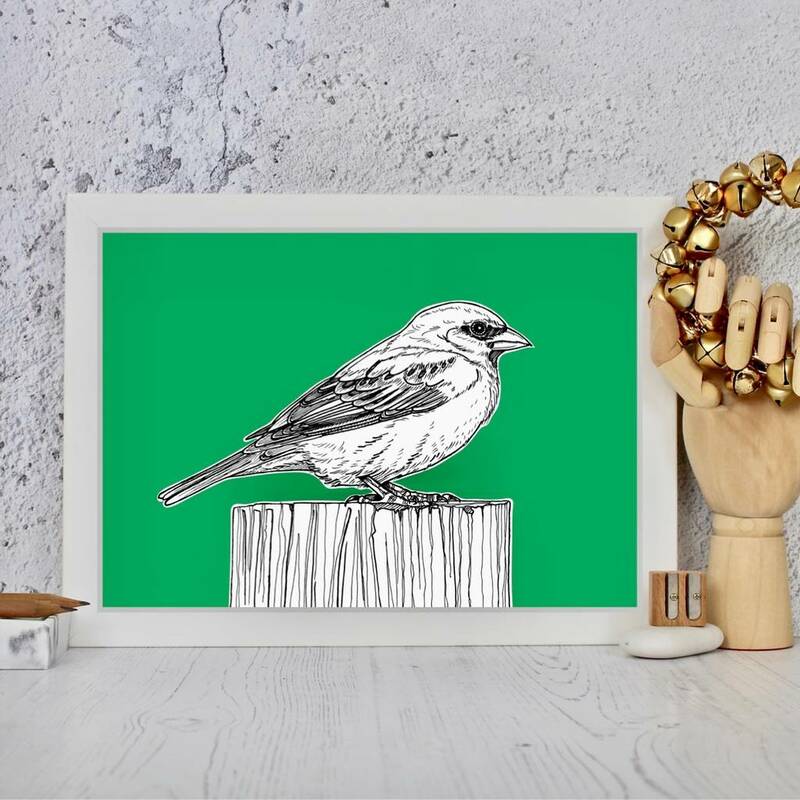 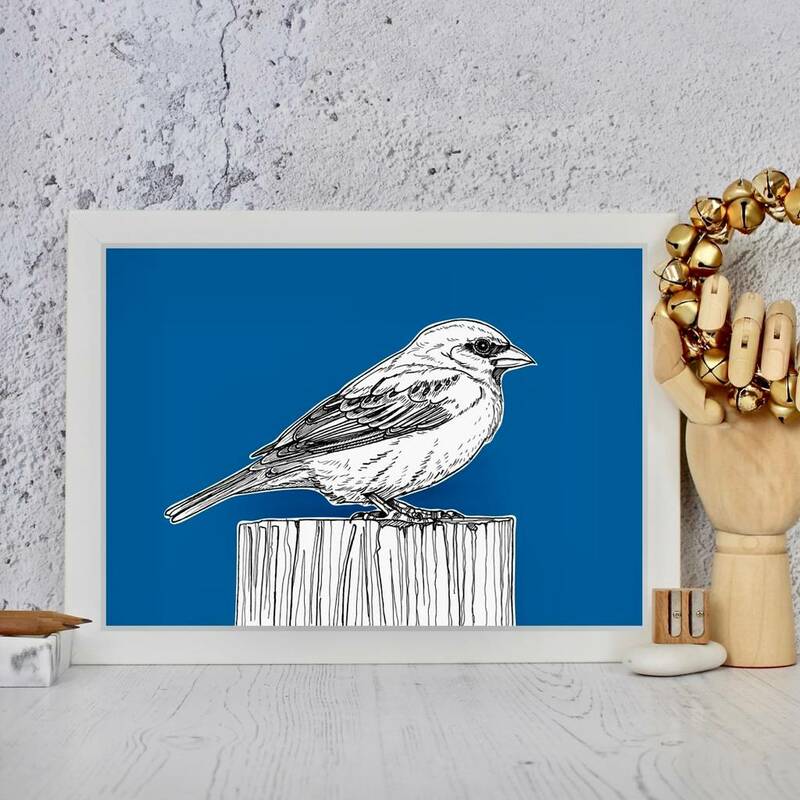 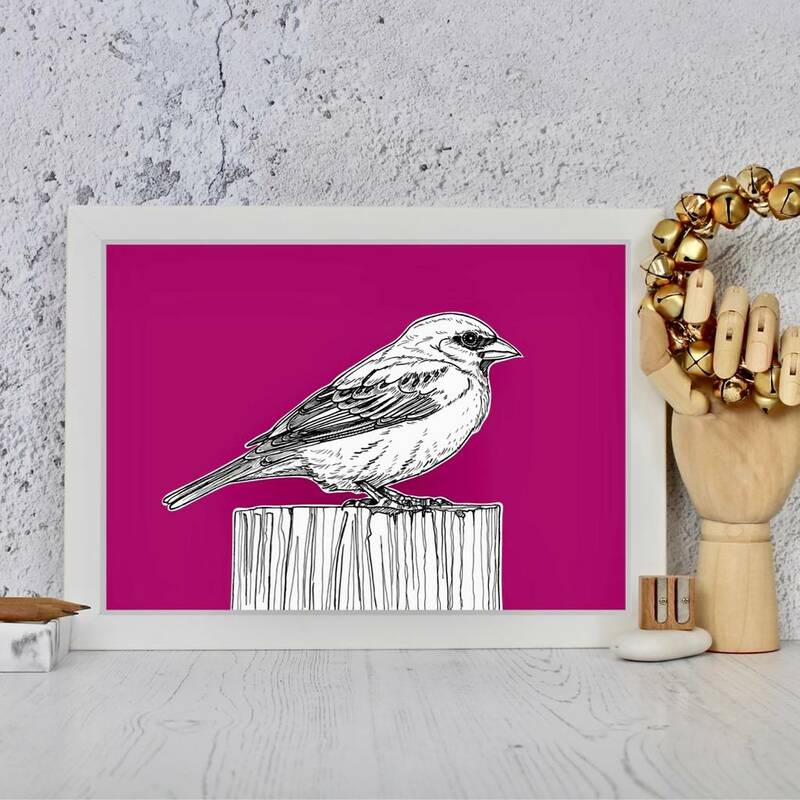 This Sparrow bird print is part of a new series of British bird prints. All are hand drawn with a choice of 12 background colours or you can just stick to classic black and white. 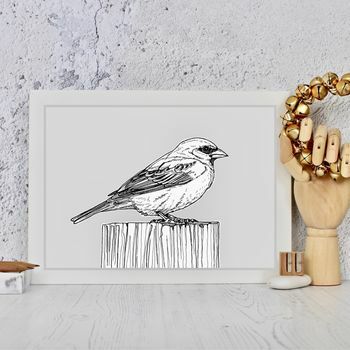 They would make an eyecatcing collection on any wall. 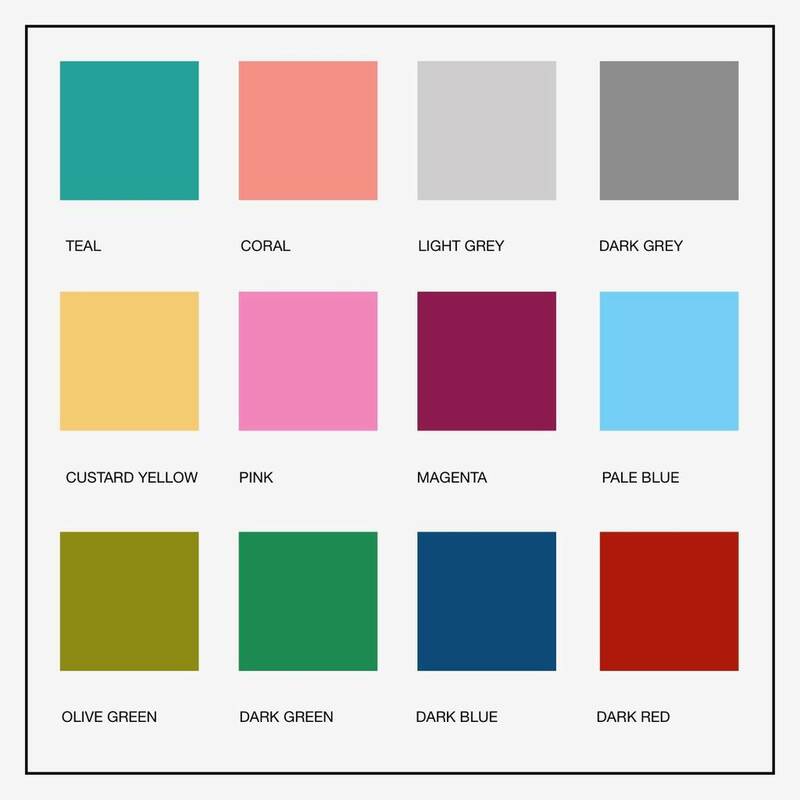 You can choose a colour for the background from the list provided. A4 ( 29.7 x 21 cms ).